Home / FAQs / How should I choose a naturopathic doctor? How should I choose a naturopathic doctor? The most important criteria in selecting a naturopathic doctor are that the doctor 1) has a naturopathic medical degree earned from an accredited, four-year, in-residence, naturopathic medical college and 2) has passed rigorous board exams as part of a licensure or certification process. There are currently seven accredited naturopathic medical programs in North America. 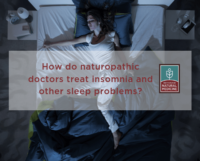 They are: Bastyr University, National University of Natural Medicine, National University of Health Sciences, Southwest College of Naturopathic Medicine, University of Bridgeport—College of Naturopathic Medicine, Canadian College of Naturopathic Medicine, and Boucher Institute of Naturopathic Medicine. Twenty-three states and U.S. territories permit access to safe, effective, and affordable licensed or certified naturopathic doctors. These include Alaska, Arizona, California, Colorado, Connecticut, District of Columbia, Hawaii, Kansas, Maine, Maryland, Massachusetts, Minnesota, Montana, New Hampshire, North Dakota, Oregon, Pennsylvania, Rhode Island, Utah, Vermont, Washington, and the U.S. territories of Puerto Rico and Virgin Islands. Explore a map of regulated states and states seeking licensure. Find a Licensed Naturopathic Doctor with our Find a Doctor tool online. During your first visit, your licensed naturopathic doctor will take your health history, ask questions about your diet, stress levels, lifestyle habits and exercise, use of tobacco and alcohol, prescription drugs and supplements you are taking, and discuss the reasons you sought out a naturopathic doctor. He or she might also perform a physical examination and order diagnostic tests. 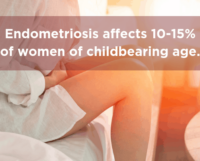 Based on findings, the doctor will work with you to set up a customized treatment plan and health management strategy. If necessary, the doctor will refer you to other health care practitioners. Naturopathic doctors understand conventional medicine and use many of its diagnostic tools and treatments in their practices. They also bring an array of treatments and insights into treatment plans and health management strategies that typically are not taught in conventional medical schools and might not be available from a conventional medical doctor. One example is the use of plant-based medicines (botanicals). Used correctly, these medicines along with lifestyle changes can improve many aspects of a patient’s health. 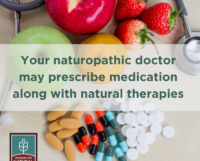 Be prepared for your naturopathic doctor to focus on understanding the root causes of health symptoms you might be experiencing as well as your overall health and wellness goals. This takes time. As a result, your first visit might last an hour or more and follow-up visits could last 30 minutes or more, although this varies depending on the individual. Licensed naturopathic doctors work in a variety of clinical settings, including private practices, hospitals, clinics, and community health centers. As a service to consumers, the AANP provides a naturopathic doctor directory of its members on its website.